*BREAKING* Forget Google Wave - Will We See Google Chrome OS Next Month? *BREAKING* Forget Google Wave – Will We See Google Chrome OS Next Month? How about us minions get excited about something we might be able to actually get our hands on and use – like the Google Chrome Operation System (OS). There are snippets of buzz here, here, and here that are hinting at a laptop that may be released in China with the Google Chrome OS (operating system) pre-installed. According to our sources in China, devices powered by the Chinese-designed Loongson CPU could soon be sold with Google’s Chrome OS pre-installed. 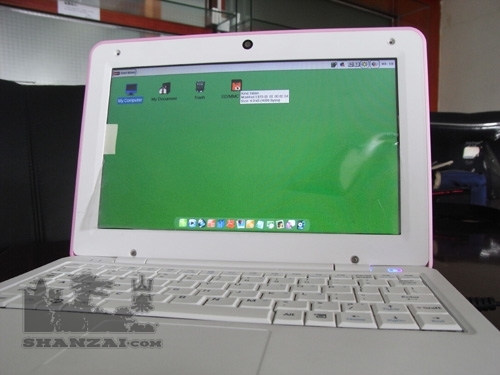 Designed to work with Linux software, the Loongson 2F processor is in a sound position to take advantage of Chrome’s OS on netbook and all-in-one desktop devices. The Loongson CPU may be the darling of the Chinese media, such is the capacity for nationalist fervor on the Mainland, but in the West it has been met with emotions ranging from mild curiosity to abject cynicism. As a MIPS based processor in a similar vein to an ARM chip, the current Loongson 2F architecture would seem to have enough grunt to compete in the ultra-compact Smartbook and possibly all-in-one desktops segments. If this review is anything to go by however, the real challenge for Longsoon/Lemote is getting the software right, which is of course where Google’s Chrome OS fits in. So with all the hype built around Google Wave, and the fact that only 100,000 people are able to get it, I’m ready to get excited about something that I might actually be able to get my hands on and play around with – like the new Google Chrome Operation System!